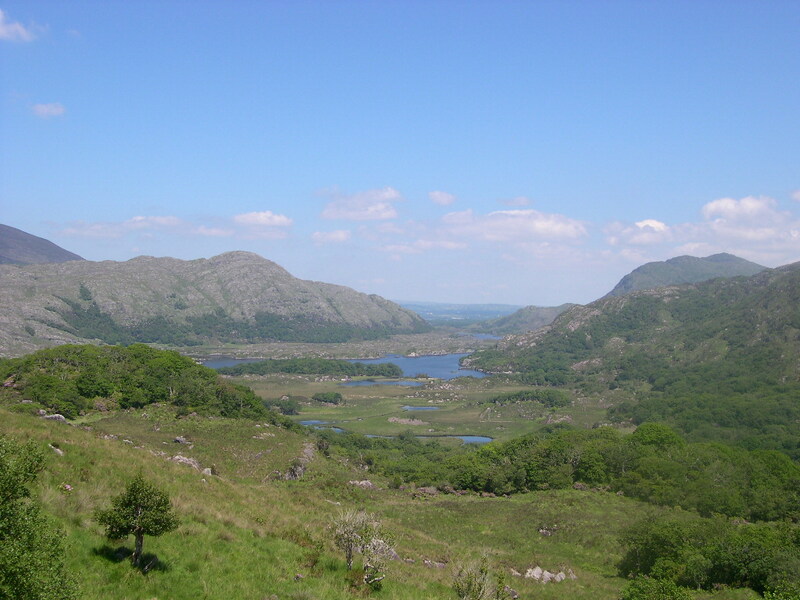 Few places in Ireland have been photographed as often as Ladies' View, a spot that offers unspoiled views of the famous Lakes of Killarney. The scenic point's name stems from a visit of Queen Victoria's ladies-in-waiting, who came here in 1861 and afterward told everyone they met of the deep impression the landscape of sky, water, and mountains had left on them. This is one of Ireland's best-known panoramas, but there is a bit more to this place than just one vista. The lookout also contains a modern cafe and a well-stocked gift shop, selling rugs, throws, scarves, and sheepskins. Try to time your visit for mid-morning or mid-afternoon, when the landscape is most conducive to photos. 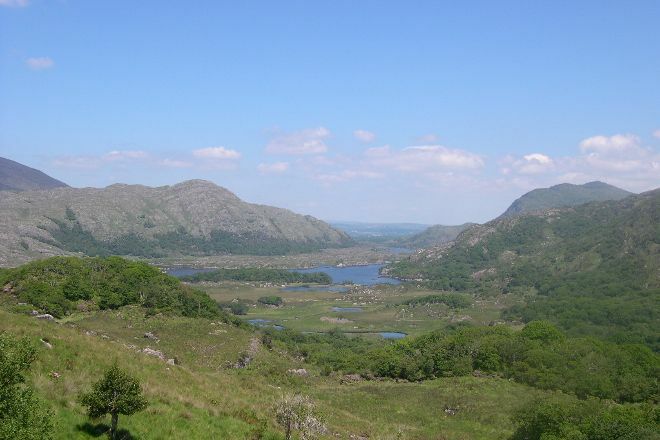 A visit to Ladies' View represents just the start of the adventure when you use our Killarney online holiday planner to plot your vacation. Absolutely breathtaking. The food and shops are also great. The cafe has good pastries and coffee and the gift shop isn’t too over priced. Careful of speeding cars as the road is narrow and parked cars make it more treacherous. When you park at the top you cross the street to the cafe. I saw lots of unattended children and fast cars. Not good. Still well worth the drive with many stops on the way up. Beautiful view of the valley in front. Easy parking. We also stopped for a coffee at the bar from where we could also enjoy the view. Coffee was good and prices decent. Amazing place. Lots of leprechauns are there!!! And the coffee is also good if you cant find them.. The place is amazing! The view was breath taking but chilly while we were there. Wear proper shoes and take your camera! Every day, we help thousands of travelers plan great vacations. Here are some tips on how to use your Listing Page to attract more travelers to your business - Ladies' View. Promote your permanent link - https://www.inspirock.com/ireland/killarney/ladies-view-a98205189 - on your website, your blog, and social media. When a traveler builds a plan from this page, the itinerary automatically includes Ladies' View. This is a great way for travelers looking for a great vacation in your city or country to also experience Ladies' View. Promoting your link also lets your audience know that you are featured on a rapidly growing travel site. In addition, the more this page is used, the more we will promote Ladies' View to other Inspirock users. For best results, use the customized Trip Planning Widget for Ladies' View on your website. It has all the advantages mentioned above, plus users to your site can conveniently access it directly on your site. Visitors to your site will appreciate you offering them help with planning their vacation. Setting this up takes just a few minutes - Click here for instructions.